Happy Groundhog Day, everyone! 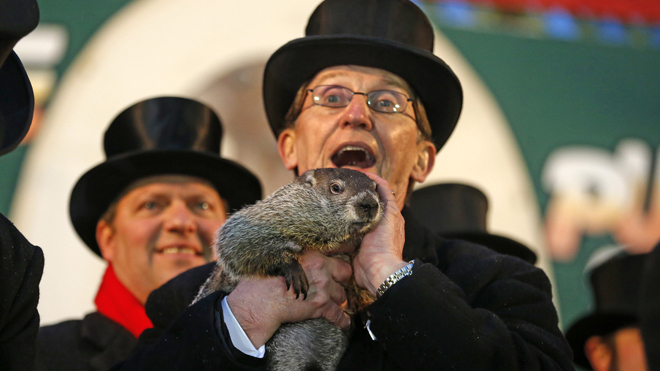 Perhaps by now you have heard that Punxsutawney Phil saw his shadow this morning, thus predicting six more weeks of winter. As if spring wasn’t already scheduled to start in about 6 weeks anyway. Now, I am of the opinion that it’s February in the Midwest, and therefore, it should be cold and snowy – though, Mother Nature could keep the ice. I realize this does not make me the most popular person in the region, let alone my own house…and I’m okay with that! Today is also Superbowl Sunday, featuring the Seattle Seahawks and Denver Broncos. I have no real rooting interest, since my beloved Green Bay Packers were eliminated by Steven’s San Francisco 49ers in Week One of the playoffs…the 49ers were later eliminated by Seattle in a close game that came down to the last seconds…bittersweet for me, because it meant Steven was bummed out. Today, we’re both hoping for a good game, and would be okay with the Seahawks winning…so I guess we’re essentially rooting for Seattle! And, what would a Superbowl be without good commercials! Sriracha…it’s spicy, it’s flavorful, and a little dab’ll do ya. I wasn’t sure how the sweetness of the caramel would hold up against the intense spiciness of the sriracha, but surprisingly, it turned out really well. The sriracha caramel does obtain a fairly smoky flavor as it finishes up in the oven, and the heat is pretty subtle as I taste a couple of kernels at a time. To me, the heat sneaks up on you, albeit in a rather pleasant way. Steven, however, has been enjoying it handful after handful since it finished earlier this afternoon. 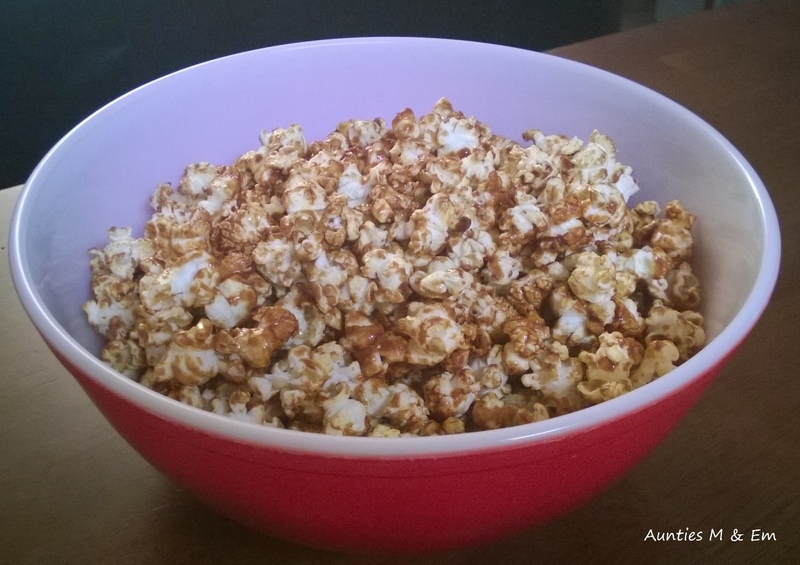 He even told me it’s the best popcorn I’ve ever made…a compliment I’m more than willing to accept. It’s a slow burn…but worth it! Be sure to check out the recipe at IAmAFoodBlog.com! So, now it’s nearly game time, and we’ll be picking up our sliders soon…I hope you all enjoy whatever festivities you have planned! Categories: Food | Tags: caramel, football, good times, popcorn, sports, sriracha | Permalink.